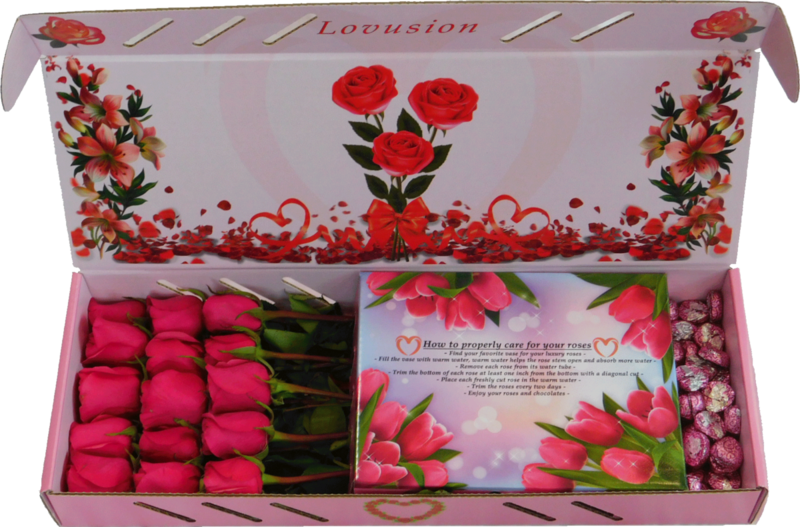 -Each Rose Has Its Own Water Tube to Keep the Rose Fresh. 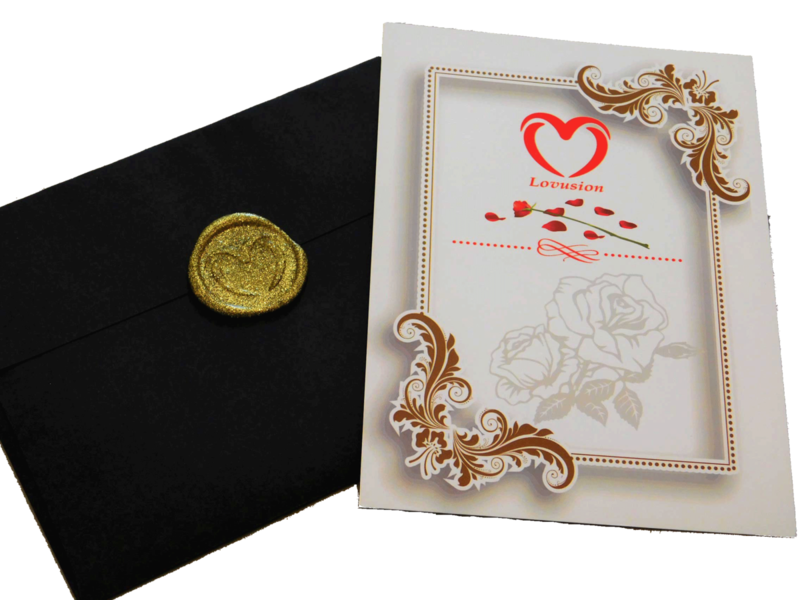 -Half Pound of heart shaped Milk and Dark Chocolates. 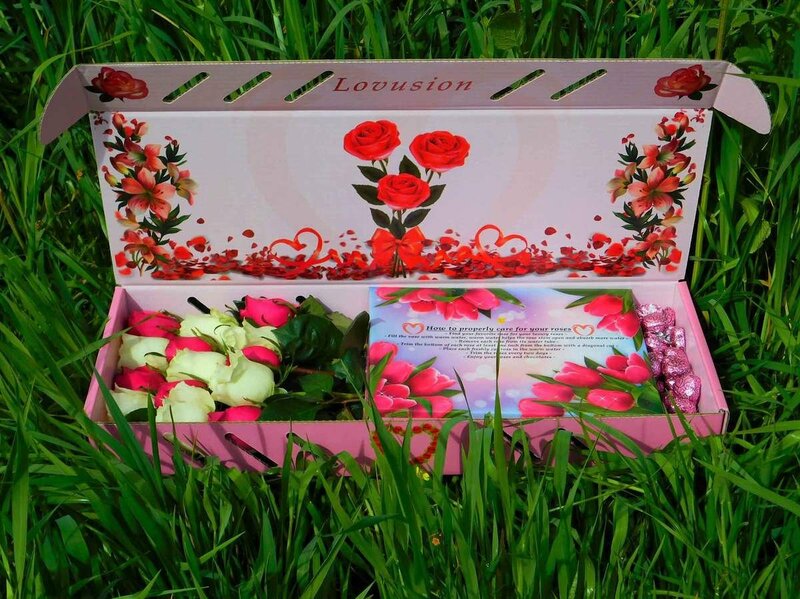 Lovusion is dedicated to bringing California’s greatest roses to her doorstep. 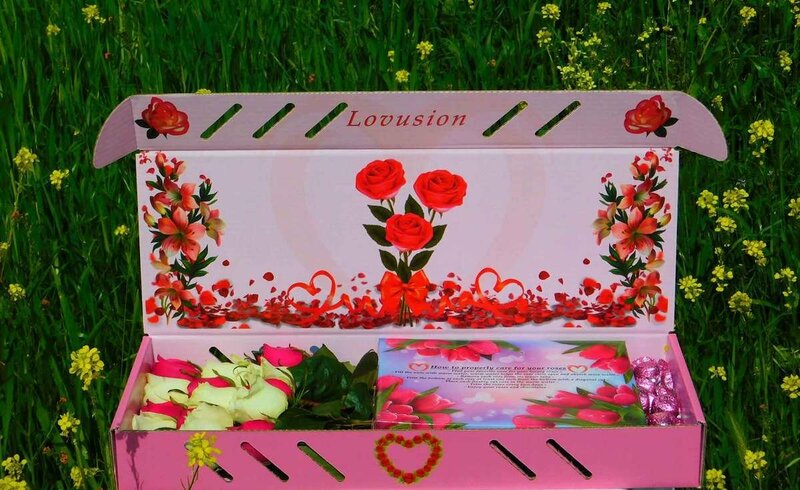 We’ve partnered up with local third generation florists to ensure your roses are gorgeous and fresh from the field. 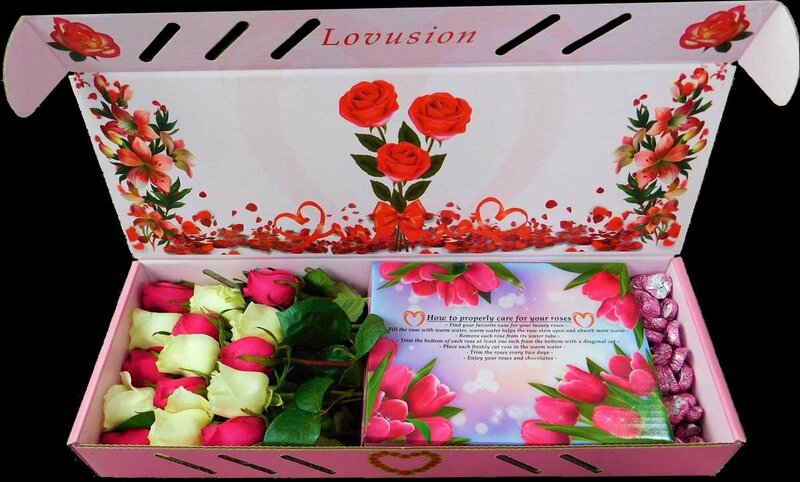 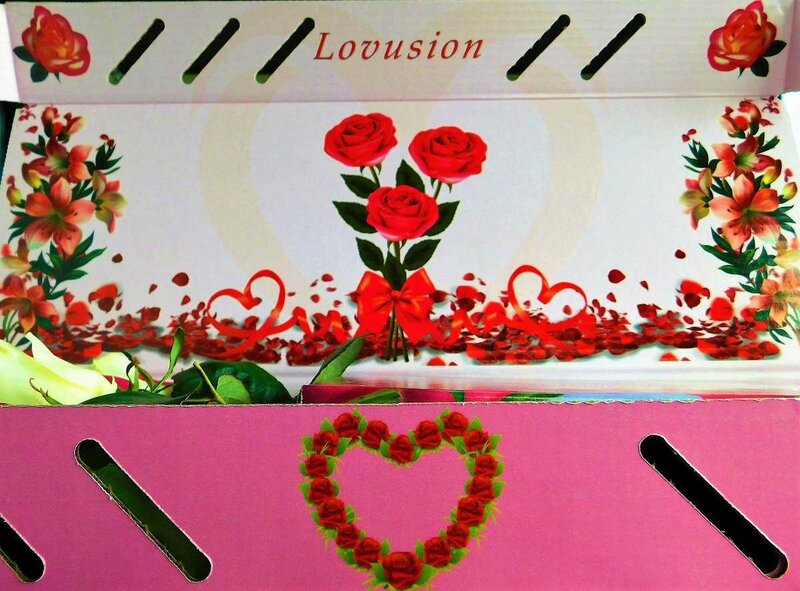 Our roses are held in place by our unique box design which secures the roses during transportation. 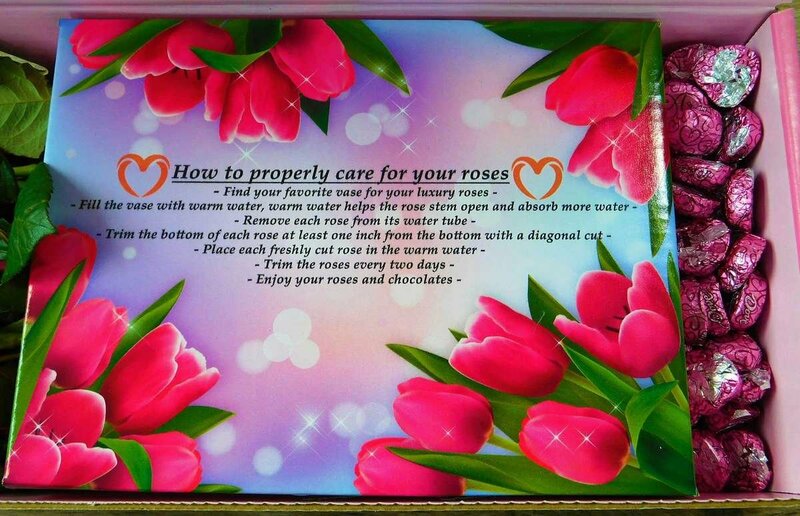 Each rose has its own water tube to ensure freshness.